Today's item of note is a happier note than my last entry. Some of you may think that I have a thing against technology or its use in research. That could not be farther from the truth. I got into computers at a very young age and I am very pro-technology. I just seek a balance. I see the direction that we are moving in as culture-less which in my opinion is a very bad place to be. There is a balance which can be struck and here is a perfect example. The Hebrew University of Jerusalem has announced that it is digitizing their archive of Albert Einstein materials. Everything from his research notes to his fanmail to his love letters. Previously only a small portion was available online. Now the first 2,000 documents (roughly 7,000 pages) are available now. His collection includes 80,000 items in total. Here is the link to the archives. The funding for this effort is credited to the Polonsky Foundation UK. They bankrolled the effort to get Isaac Newton's works digitized and made available as well. Also part of this effort are CalTech and Princeton University (his adopted home in the United States). 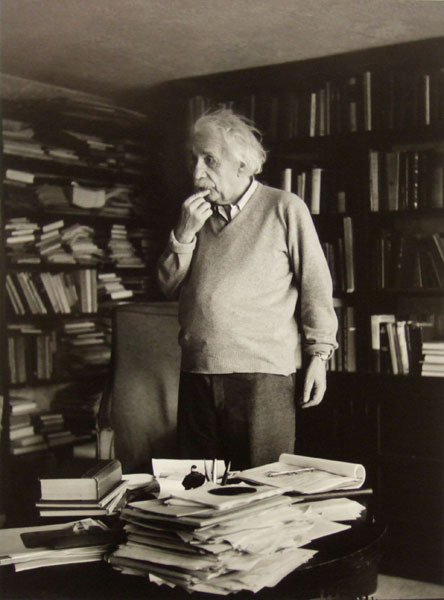 They are focusing an initiative to publish annotated commentary on the Einstein collection. This is excellent. This is what we need more of made available. Not everybody can gain access to the Hebrew University of Jerusalem let alone their archives. This will allow people around the world to access Einstein's world. They can not only learn about his ideas and what he thought of them, but also the man himself and the world he lived in. Yes, there is already tons of material available, but these are his personal notes, unblemished and pure. This is where the balance should lie between the digital and material world. Allowing access to what otherwise could not be accessed. I've said it before and I'll say again. Anything which only saved in a digital format is frail as a piece of glass and easily broken. Don't build a world on it. It's nice to see you blogging again.